Published on August 17, 2016 in architecture, general info and style. 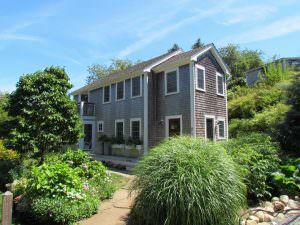 Closed Tags: Cape Cod, Cape Cod Luxury homes, Cape Cod new construction, Cape Cod real estate, Provincetown condominiums, Provincetown luxury homes, Provincetown real estate. 24 Point Street #5 is a two bedroom three bathroom home with 1,414 square feet. It is part of the charming and much loved Westwinds Condo Association. It is being marketed by our firm for $1,565,000. MLS COPY: This single family home was just completed in 2009 yet it fits perfectly in its neighborhood of antique capes and cottages in the far West End. Thoughtful design and quality construction are evident throughout as the owner kept a watchful eye on every detail. 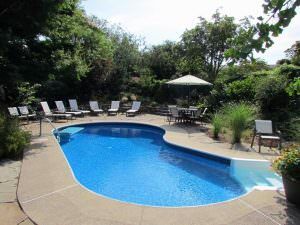 It is part of the sought after Westwinds association and enjoys full benefits of the pool, gardens and beach access on Comercial St. Open plan first floor with doors all around leading to decks, patios and gardens. 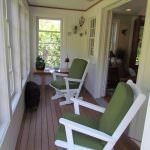 There is an enclosed 3 season front porch, half bath and an outside shower on this level. An efficient gas fireplace lends a cozy feel. There are two bedrooms each with ensuite baths on the second floor. 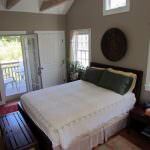 The master has a beautiful oversize shower and a private balcony that is a perfect spot for summer reading. 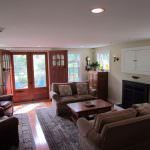 Full basement, central air and parking. Pets for owners and weekly rental are permitted.